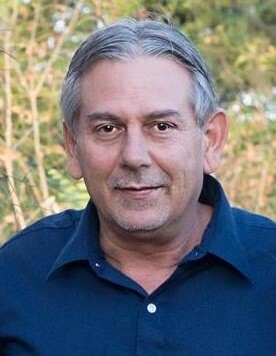 David Allen Benton, son of Clarence Benton and Ann Cortesio, passed away Saturday, February 9, 2019 at Medical City Plano, in Plano, Texas at the age of 55. He was born the last child of Clarence and Ann on May 14, 1963 in Newton, Iowa at Skiff Memorial Hospital. David attended school in Newton until a move in 1975 brought his family to Centerville. He graduated from Centerville High School with the Class of 1981. In 1981, he joined the Iowa National Guard and was enlisted for 4 years. He completed his basic training at the U.S. Military Base, Fort Leonard Wood in Missouri. In 1985, David welcomed his first child, daughter Brittney, into the world. Soon after, he brought his new family to live in Lewisville, Texas, and he started working for KTI. In 1988, he married Brittney’s mother, Juanita in Lewisville. In 1992 he welcomed his second child, son Matthew. The family returned to Iowa in 1993. David got a job working for HyVee Warehouse in Chariton, and then at Viskase in Centerville. Although his marriage to their mother didn’t last, mutual respect for one another did, and they worked together to raise their children apart. In 2001, David met Marla, and they fell in love. They were united in marriage on May 5, 2007 in Centerville, Iowa. They worked together at Viskase, and soon after decided to move to Plano, Texas in 2007. David worked for Fujifilm, and he and Marla enjoyed being near his family and old friends, and taking in all that a big city offered. He and Marla enjoyed family gatherings, playing games, watching movies, taking trips to the casinos in Oklahoma, and their once or twice a year trips back to Iowa to see their families. If you asked anyone to describe David, you would always get the same answers. Kind hearted, never said a bad word about anybody, Jokester, loved his children and grandson more than the world, never too serious, loved his whole family with all of his heart, would help anyone in need, and goofy, just to name a few. The world lost one of the best for sure. Heaven gained a wonderful angel. David would ask that all of his family and friends live life fun, goofy, and spontaneous in honor of him. David’s life will continue to be celebrated and his memories kept alive by his surviving wife, Marla Benton; daughter, Brittney (Jake) Smith; son, Matthew Benton; grandson, Mason Smith; granddog, Cocoa; his brothers and sisters, Linda (Carl) Hilpl, Karen (Rick) Wells, Randy Benton, Marty Benton, and Janet Benton; his brother by choice, Steven Senior; his little buddy (dog) Jax; as well as many nieces, nephews, cousins, aunts, uncles and dear friends. He was preceded in death by his parents, Clarence Benton and Ann (Cortesio) McGuire, and his beloved dog, Jazzy. Funeral services will be held at 2:00PM on Monday, February 18, 2019 at Lange Funeral Home and Crematory in Centerville with Jan Spurgeon officiating. Burial will follow the service at Dale Cemetery, north of Centerville. A Visitation will take place on Monday, February 18, 2019 at Lange Funeral Home, with the family greeting friends from 12:00-2:00PM. In Lieu of Flowers, memorials have been established to the Alzheimer’s Association, and may be mailed to Lange Funeral Home and Crematory, 1900 South 18th Street, Centerville, Iowa 52544. Condolences may be shared online at www.langefh.com.